These basic foot care tips are pretty easy to remember. Even easier to do. Best of all, your feet will love you for looking after them. 1. Wash your feet daily. Use lukewarm water, a mild or antibacterial soap. Rinse off all the soap and dry thoroughly - especially between your toes too! You can do this while bathing or sitting down. You may even try a long handled brush like a shower back brush. We don't recommend you sit on the edge of the bathtub. Be safe! Take a peek at our Foot Baths for more ideas. 2. Keep your toe nails trimmed. Trim your nails straight across and not too short. Don't go cutting or digging them into the corners either. That's just asking for trouble. Ingrown toe nails are really not fun. Trimming will be a lot easier too if you do this just after you've finished bathing or washing your feet. Your nails are quite a bit softer then. 3. Dry Skin? You can use a moisturizing lotion to help with this. Especially in dry climates or cooler times of year that tend to be drier. A small amount of generic lotion applied a few times a day can help you. 4. Inspect your feet regularly. Maybe get a friend to help you look at those 'harder to see' parts. Tell your health care professional about any unusual signs that persist. Catching them early is important. 5. Do not try to trim, shave or dissolve corns or calluses at home. See your doctor and get the proper remedies. 6. Wear clean socks. Change your socks daily. Make sure they're not too tight or too short. This is one of the most often overlooked areas of foot care. Learn a lot more here about choosing socks wisely. Your feet will love you for doing it right. 7. Wear shoes that fit! Seems so simple but over 70% of people wear shoes that do not fit well. This makes a world of difference to your foot health. Read more about proper shoe fitting here. 8. Walk daily!. Another really simple foot care tip. The mere act of walking gives your feet exercise! That exercise goes a real long way in keeping your feet healthy. Start from the very beginning here or go straight to our Fitness Walking Programs. Here's some special foot care tips just for your condition. Wear the right shoes. Choose leather or canvas shoes or shoes made with a highly breathable material. Walking Sandals are very good too. Try to avoid synthetic materials. Some of the modern materials could work very well for you even though they are not technically leather or canvas. You may have to experiment a bit. Read more about choosing shoes here. Pay special attention to the wicking characteristics of both the shoes and the socks. A longish read but very worth it for you. Change shoes daily. You want to give your shoes a chance to rest, breath and dry a bit between uses. You don't want to give fungi a place to get started! Use foot powder. Use a good quality brand recommended by your doctor for your feet. Be diligent. People with sweaty feet are more prone to getting athlete's foot. Note though, that sweat alone doesn't cause athlete's foot. Sweat combined with moisture and poor ventilation in the shoe though can create the right conditions for athlete's foot to get started. It is a contagious disease. See your doctor for more guidance in treating it. Medicine Plus is a service of the US National Library of Medicine and the National Institute of Health. 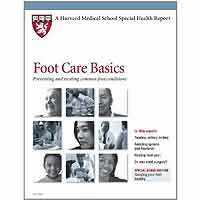 Here is a link to the General Foot Health page at the APMA (American Podiatric Medical Association). For The Serious Researcher In You! This is pretty heavy duty reading for those that really want to get 'into it' with over 300 foot problems being addressed. And the paperback version is a very reasonable $20.